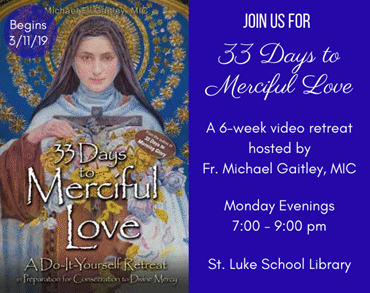 Based on the book, 33 Days to Merciful Love, by Fr. Michael Gaitley, MIC, this Retreat goes even deeper than the book alone and explores new material on the heart of St. Thérèse of Lisieux’s Little Way, uncovering the power of trust in the face of personal darkness, inspiring participants to become great saints amid ordinary circumstances, and laying the foundation for a personal consecration to Divine Mercy. 3/18/19 Week 1: What is Trust? Deadline for registering for 33 Days to Merciful Love is Friday, March 8th, 2019. Purchase of the Participant Pack is required and the cost is $30. Please give the fee to Sr. Diane Carollo by March 1st. Commentary by Steve Ray - presented by Fr. Scott Courtney. Many books and movies that pass for “love stories” today seem like tales of lust, not love. However, the Book of Ruth is more powerful than any of them—and it’s only four chapters long. The Book of Ruth is truly a sacred love story. This book relates how a simple Gentile woman rose from the sudden death of her husband to a courageous trust in God. As Steve Ray and Fr. Scott Courtney will show you, Ruth is very special for another reason: she is one of the four women mentioned in Jesus’ genealogy, as well as King David’s great-grandmother. 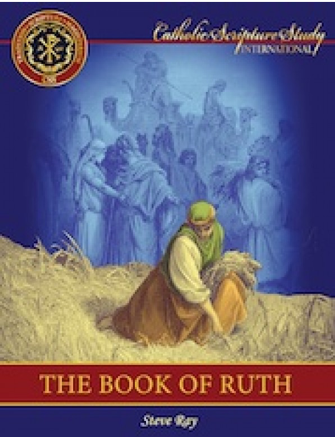 The Book of Ruth will be offered on Mondays (April 8, 22, 29; May 6, 2019), from 10:00 to 11:15 AM and Thursdays (April 11, 25; May 2, 9, 2019) from 6:30 to 8:00 PM in the Fr. Courtney Reception Room. The cost of the program is $8. Register no later than March 19. REGISTER ONLINE NOW!! You may also contact Sister Diane at dcarollo@stluke.org or call her at 317-259-4373, ext. 256. Conversational Theology is a year-round program open to anyone with an inquiring mind. Sessions are offered every Saturday in the Father Courtney room following the parish breakfast. Parishioners meet from 10:15 to noon with John Lowe, the instructor for the course. 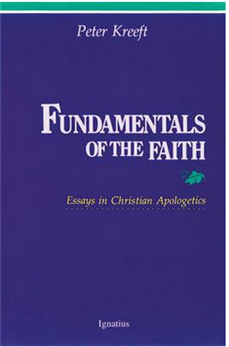 Fundamentals of the Faith by Peter Kreeft is the textbook for the lessons that are presented. Participants carefully study, share and discuss details of the readings following the admonition of 1 Peter 3:15, “Always be ready to give an explanation to anyone who asks you for a reason of your hope.” If you have questions or wish to register, contact the instructor, John Lowe, MA, OFS, via email or call 317-797-8699. You may also email Sister Diane at dcarollo@stluke.org . There is no charge for Conversational Theology. You will need to purchase Fundamentals of the Faith by Ignatius Press. It is readily available at local bookstores.